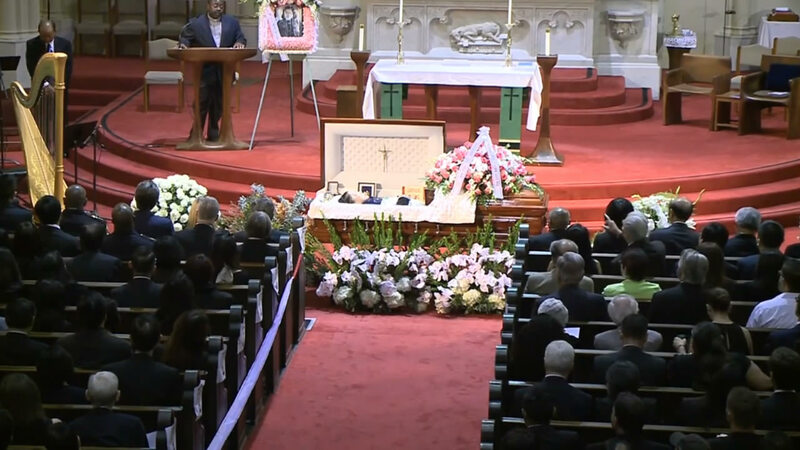 SAN FRANCISCO (KGO) -- Large crowds gathered to pay their final respects on Saturday at the funeral of one of the San Francisco's most influential political power players - Rose Pak. Pak died earlier this week. Friday night was her wake. Pak was unlike any other San Franciscan and she was honored accordingly. San Francisco police officers in dress uniform provided security and the captain of Central Station will even be a pallbearer for her funeral. "I've been able to become good friends with Rose. You know she was a tremendous supporter of the police department," said San Francisco police Capt. David Lazar. In political circles, she was known as someone who got things done and played hardball if needed. "I would say her defining achievement was actually keeping politicians in check. It's bigger than Central Subway, it's bigger than Chinese hospital," said San Francisco supervisor Aaron Peskin. Those who knew her say she wasn't motivated by getting any notoriety. "The underdog, those who need help in San Francisco lost a champion, because that's what Rose was about. She was always helping the little guy," said San Francisco supervisor David Campos. Rose Pak was never elected to any office and she shied away from being on commissions and boards. But she pushed numerous politicians to run for office and serve on commissions, that includes helping get Mayor Ed Lee elected. He attended Friday's wake, but didn't want to comment on the ceremony. Former mayor Willie Brown said he's going to miss his friend, Rose Pak. "I still dial her number, and I'm glad it hasn't been turned off," Brown said. Her funeral will be at Saint Mary's Church on California Street. Organizers anticipate a large turnout.